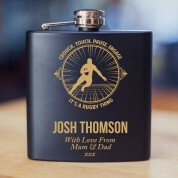 Rugby themed Personalised Engraved Hipflask Giftset. 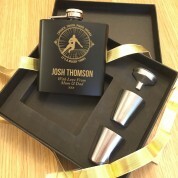 Ideal presentation gift for a landmark occasion such as a Works Leaving Gift or a Special Birthday. 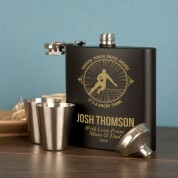 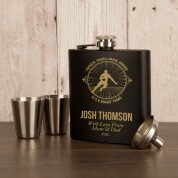 The 6oz Hip Flask is Laser Engraved with both the Recipients Name and also your Personal Message. 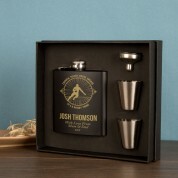 You will also receive a pouring Funnel and two drinking / measure cups.